It is mainly a molding mold used most widely in the production of thermoplastic plastic parts. 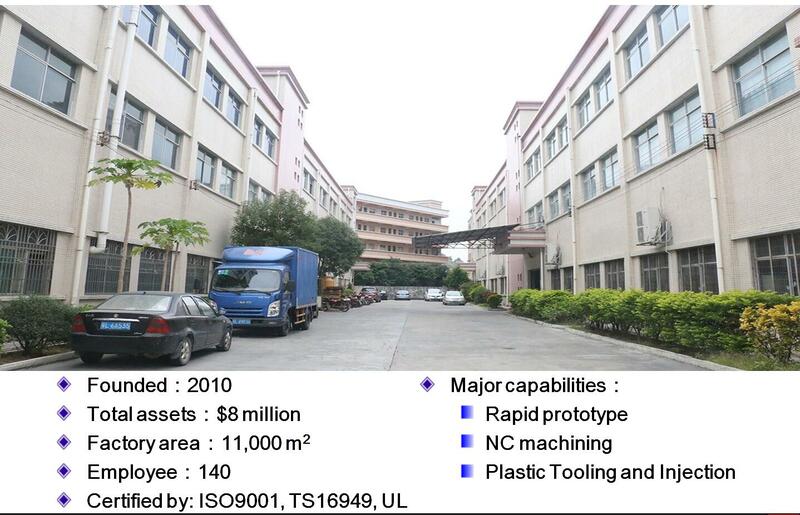 The corresponding processing equipment for plastic injection molding is plastic injection molding machine. The plastic is first heated and fused in the heating barrel of the bottom of the injection machine, then it is pushed by the screw or plunger of the injection machine, and the injector and mould of the injection machine is poured. The injection system enters the mold cavity, the plastic is cooled, hardened and molded, and the product is obtained by demoulding. Its structure is usually made up of forming parts, gating system, guiding parts, ejecting mechanism, temperature regulating system, exhaust system, supporting parts and so on. The manufacturing materials usually use plastic mould steel module, commonly used materials are carbon structural steel, carbon tool steel, alloy tool steel, high speed steel and so on. The injection molding process is usually only suitable for the production of hot and plastic products. The plastic products produced by the injection molding process are very wide. From daily necessities to various complex machinery, electrical appliances and transportation tools parts are all molded with injection moulds. It is the most widely used processing method in the production of plastic products. It includes two types of die types: compression molding and press casting. They are mainly used for molding thermosetting plastics, and the corresponding equipment is pressure forming machine. According to the plastic characteristics, the compression molding method will heat the mold to the molding temperature (generally at 103 degrees 108 degrees), and then put the measured plastic powder into the mold cavity and the feeding room, and close the mold. The plastic is softened and sticky under the high heat and high pressure, then solidified after a certain time, and becomes the desired product shape. The pressure injection molding is different from the compression molding. The mold is closed before the molding, and the plastic in the feeding room is in a viscous flow. Under the pressure, the mold is squeezed into the mold cavity and hardened. The compression mold is also used to form certain special thermoplastic plastics such as refractory thermoplastic (such as polyvinylidene) blank (cold pressure molding), high optical resin lenses, slightly foamed nitrocellulose automobile steering wheel and so on. The mould is mainly composed of mold cavity, feeding chamber, guiding mechanism, pushing parts and heating system. The injection mould is widely used to encapsulate electrical components. The material used for pressing dies is basically the same as that of injection molds. A class of molds used to produce continuous shape plastic products, also called extruding heads, is widely used in the processing of pipe, bar, monofilament, sheet, film, wire and cable coating, special-shaped material and so on. The corresponding production equipment is a plastic extruder. The principle is that the solid plastic is melted and plasticized under the rotating compression condition of the screw of the extruder and the extruder. The continuous plastic products with the same shape of the section and the mold are made by the specific shape of the mold. 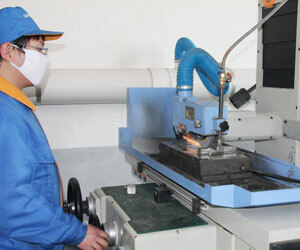 Its manufacturing materials include carbon structural steel and alloy tools. Some Extrusion Moulds will also wear diamond wear-resistant materials on wearable parts. Extrusion process usually only applies to the production of thermoplastic products, and the structure is obviously different from the injection mold and the pressure die. It is a mold for forming plastic container hollow products (such as beverage bottles, daily chemicals and other packaging containers). The form of blow molding is mainly composed of extrusion blow molding hollow molding and injection molding according to the principle of technology. The main forms are extrusion blow molding, hollow molding and injection extension according to the principle of process. Blow molding hollow molding (commonly known as injection blow), multi-layer blow molding hollow molding, sheet molding blow molding. The corresponding equipment for blow molding of hollow products is usually called plastic blow molding machine. Blow molding is only suitable for the production of hot plastic products. Blow molding die structure is relatively simple, most of the materials used in the manufacture of carbon. It is a mold with plastic plate and sheet as raw material to form some simple plastic products. The principle is to make use of vacuum blooming method or compressed air molding method to make the plastic plate and sheet fixed on the die or punch to get the molding product on the mold cavity under the condition of heating and softening. In some commodity, food, toy packaging products production. Because of the low pressure during the molding process, the mold materials are mostly made of cast aluminum or non-metallic materials, and the structure is relatively simple. It is a mold for using the raw polystyrene (polystyrene and foaming agent bead material) to form a variety of desired shape of foam plastic packaging material. Its principle is to make polystyrene into the steam molding in the mold, including two types of simple manual operation mold and hydraulic press, mainly used for the production of industrial products. The materials for making such moulds include cast aluminum, stainless steel and bronze.